There are number of dental treatments available in modern dentistry. Here we will discuss about the treatments one by one. Root canal Treatment: Root canal treatment, also known as endodontic treatment, is a dental procedure in which the diseased or damaged pulp (core) of a tooth is removed and the inside areas (the pulp chamber and root canals) are filled and sealed. Once the tooth is sufficiently cleaned out and as sterile as possible, the root canal system is sealed off. Dental Implants: It is done to replace missing teeth. If you are missing one, or more natural teeth due to injury, disease or decay, there is another restorative treatment as an alternative - dental implants surgery. Implants can be used to replace a single missing tooth, several teeth or all of one's teeth. While the cost tends to be greater, implants more closely resembles the look and feel of your own teeth. Not everyone can have dental implants, so talk to the dentist to help you assess your individual needs. Using local anesthesia tooth can be extracted easily. Dentists use a special tool called elevator to loosen the tooth to be extracted by widening the space in the bone. Once the tooth is loosened the same can be pulled with forceps. Teeth adjacent to the gap (where the tooth was lost) begin to shift (move) towards the gap and cause functional bite problems. Missing teeth can result in bone loss and shrinkage of your jawbone over time. As a healthy mind resides in a healthy body so also a beautiful smile tells the tale of a good dental health. Our teeth are one of the most important tools but unfortunately the most neglected one. We really do not bother about our teeth till the time we see stains of blood while brushing or experience excruciating tooth ache. Moreover, most of us fears to approach a dentist as this may cost him a small fortune. In this article we will discuss some of the basics of dental care and how we can maintain a proper dental hygiene so that we can keep the dentist at bay. Regular brushing is the key to a good dental health which prevents various periodontal diseases and keeps your teeth plaque free. 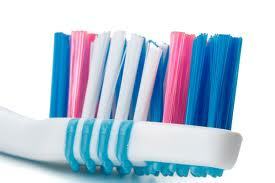 It is equally important to choose the right tooth brush and know how to brush correctly. Dentists advise to brush twice a day i.e. in the morning and before going to bed at least for three minutes each time and floss properly. Choose a brush with IDA (Indian Dental Association) seal on it as this ensures that the bristles are not too hard. Also make sure that the brush is comfortable to handle and it fits comfortably in your mouth. Fits your mouth size. If you have a small mouth, choose a small toothbrush and if you have a large mouth, pick a large toothbrush. Every one of us wants a beautiful smile which others envy. But not every one can smile the way they actually want for number of reasons and tooth discoloring is one of them. Advancement in modern dental treatment has offered a plethora of options for tooth whitening which is known as teeth bleaching. Teeth with restorations , such as veneers or having been bonded with white fillings, cannot be whitened with hydrogen or carbamide peroxide. These materials do not whiten past the color they were originally made. The color of this type of restoration was determined by the surrounding teeth. If the surrounding teeth are whitened, the restorations will stand out and look artificial. Replacing old or discolored restorations will allow you to change their appearance. Teeth that have internal staining, discoloration from developmental conditions or have been root canalled may not be affected by the typical whitening process. Internal teeth bleaching or permanent restorations may be an option to consider. Pregnant women should avoid bleaching of teeth as the affect of chemicals on unborn baby are yet not known to the medical practitioners. People with hypersensitive teeth should stay away from teeth bleaching as this may increase their sensitivity. All toothpastes help remove surface stains because they contain mild abrasives. Some whitening toothpastes contain gentle polishing or chemical agents that provide additional stain removal effectiveness. Whitening toothpastes can help remove surface stains only and do not contain bleach; over-the-counter and professional whitening products contain carbamide peroxide or hydrogen peroxide that helps lighten the color deep in the tooth. Among the newest whitening products available are whitening rinses. Like most mouthwashes, they freshen breath and help reduce dental plaque and gum disease. But these products also include ingredients, such as hydrogen peroxide, which whiten teeth. Tray-based teeth bleaching systems, purchased either over-the-counter or from your dentist, involve filling a mouth guard-like tray with a gel whitening solution -- which contains a peroxide-bleaching agent -- and wearing the tray for a period of time, generally from a couple hours a day to every day during the night for up to four weeks and even longer (depending on the degree of discoloration and desired level of whitening). Though the desired level of teeth bleaching is a prerogative to many conditions of your teeth, whitening of teeth is done for a shiny radiant smile which takes your attention. So if next time if you are seeing a yellowish layer discoloring your teeth and considering teeth bleaching then we recommend you to consult your dentist before you go further.